Be the Ultimate Batman! Use this 10 cheats for Batman Arkham Knight to get all features & stats that you always wanted. Always back up your saved files before using any cheats. When you activate these cheats. There will be bugs like some vents that will not let you go through them, to avoid it disable the cheats at those parts. Freeze Elapse Timers Cheat - use it on the challenges after you've complete the race, this will scores you based off of how long it took you to complete the lap. These cheats uses cheat engine. You don’t need to Install Cheat Engine just download the “No Setup Version Here http://www.cheatengine.org/download/cheatengine64_NoSetup.rar" Extract the rar file and go to the folder and open Cheat Engine. How to use Batman Arkham Knight Cheat File? Then open Batman Arkham Knight Game. Click Select a Process - It's the first button with a tool tip of "Select a process to open" then look for Batman Arkham Knight Process which is BatmanAK.exe and Click Open. 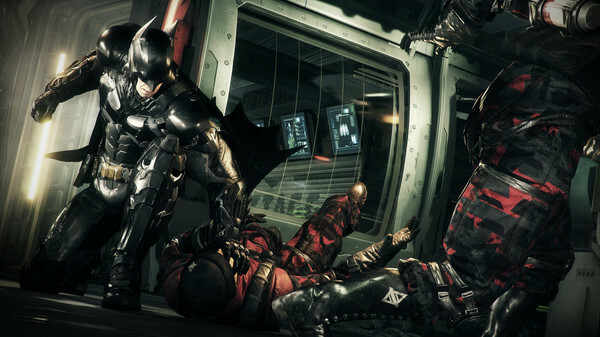 Go back to Batman Arkham Knight and try out the cheats you enabled. This game has new patches & cheats may or may not work. Please comment below for feedback. Dang, I love those combos! Enjoy the Game!